The pace of application development has increased exponentially for almost every organization, and so too has the pressure on developers to meet this new standard. DevOps and Agile have helped many to decrease development times, but serverless frameworks have recently been causing a similar stir. 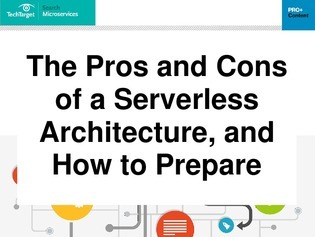 In this e-guide, learn all about serverless frameworks, how your developers can use them to focus all of their efforts on writing code, and the time and money that you can save from this faster development.